Of all the incidents that were recorded during the May 5th, 2018 ward congresses of the All Progressives Congress (APC) in Imo state, perhaps the most disturbing was the alleged attempt on the life of the deputy governor, His Excellency, Prince Eze Madumere. 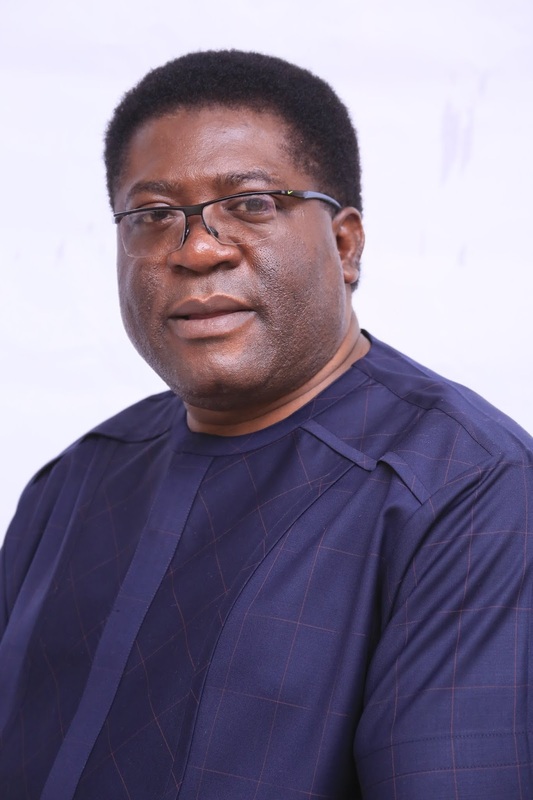 According to reports, Madumere was at the state secretariat of the party along with a few other chieftains of the party for a meeting at about 12 noon when a group of hoodlums arrived the venue and went after the party chieftains. The reports quoting eye witness’s accounts had it that the hoodlums, believed to have been hired by the Governor Rochas Okorocha faction, made attempts to specifically get at the deputy governor who narrowly escaped along with the others through the efforts of security operatives present. As disturbing as the incident is, it is not entirely surprising. Prince Eze Madumere has taken the rarest risk to his personal life and career for his decision to be part of the ‘struggle’ to stop his overreaching boss, Governor Rochas Okorocha, from completely turning the state into his personnel backyard. This is not the first time a state governor in Nigeria and his deputy are disagreeing but the Imo case is quite spectacular, even though some observers saw it coming. Prince Eze Madumere and his boss, Governor Okorocha, have a fabled relationship that predated the election of Okorocha as governor and the subsequent appointment of Madumere as his chief of staff initially. Prince Madumere was to become the deputy governor following the impeachment of Governor Okorocha’s first deputy, Sir Jude Agbaso. In line with the provisions of the 1999 constitution which gives a governor the prerogative to nominate his deputy, Okorocha sent in the name of Madumere as a replacement for Agbaso; and following confirmation by the state house of assembly, Madumere was sworn in as deputy governor. In 2015, Governor Okorocha again chose Madumere as his running mate for the 2015 governorship election in which he was seeking re-election for a second term. They won and Madumere become a second term deputy governor. Given the celebrated personal relationship between the two, majority of Imo citizens plus, indeed, outside observers did not border themselves on how the two carried on as governor in deputy governor; a completely different ball game from one as personal paddies. Yet, a few discerning observers were under no illusion that the two bosom friends will maintain a cozy relationship all through, once confronted with the challenges and vicissitudes of public office. The belief in several quarters was that given Okrocha’s nature and style of administration, it was a question of time before the two would fall apart. For a long time, however, it appeared that this negative prognostication was a misplaced one. Instead, Eze Madumere went on with his job almost effortlessly. Even when feelers began to emanate that the deputy governor was most of the time denied his statutory working entitlements as deputy governor, Madumere and his handlers themselves made sure that such things remained unsubstantiated: for the interest of his personal friendship with the governor and that of the administration, generally. If anything, Madumere was seen by many as a spin doctor for both the governor as a person and the administration. He defended his boss at every opportunity and was consistent in restating his loyalty to their friendship and administration. Consequently, there was this general belief that Governor Okorocha would naturally groom his deputy, Prince Eze Madumere, to take over from him. So much was that belief or expectation that members of the press hardly missed an opportunity in every encounter with Madumere, either by chance or deliberately, to sound him out on that; that is, whether he has a gubernatorial ambition. At every such occasion, Madumere’s response was that his preoccupation was to help his boss in offering quality governance to the good people of Imo state. That was the situation until early 2018 when the governor, himself, and to the surprise of many, kick started the politics of who succeeds him at the end of his eight-year tenure in May 2019. The two friends have parted ways; no thanks to Governor Okorocha’s bizarre moves to impose his son-in-law, Mr. Uche Nwosu, who also serves as his chief of staff, on the state as the next governor. It began as a mere speculation. Perhaps the closest Imolites got to knowing how the governor’s mind was working was when one of his closest aides and political associate, Hon. Uche Onyeagocha, publicly alleged that Governor Okorocha was hatching plans to impose Nwosu on the state as the next governor. Of course, Onyeagocha couldn’t have had a better knowledge of that plan than the deputy governor himself but the latter in his characteristic style, had kept his cool. But things came to a head sometime in March this year when Governor Okorocha, in his unusual theatrical manner, announced, at a meeting with some of his close aides and associates, a sharing of office to himself, his deputy, his son-in-law, Nwosu and a few other associates. Governor Okorocha reportedly said that while Nwosu will become the governor in 2019, both himself and Madumere will go to the Nigerian senate to represent, respectively, Imo West senatorial district (Orlu zone) and Imo East senatorial district (Owerri zone). According to reports, though Prince Madumere had a prior knowledge of what the governor was going to say at that meeting, he remained calm after the ‘announcement’ and throughout the meeting. Reports, however, had it that Madumere later sought a private audience with his boss where he pointedly told the governor that he, Madumere, was not interested in the offer of the Imo East senatorial seat, and that he will not be part of the plans to impose Nwosu on the people of the state after his, Okorocha’s, eight-year reign. Governor Okorocha was said to have initially not taken Madumere quite seriously but when a few a days later he started to notice that the Achi Mbieri Prince had dropped the administration’s trade mark muffler off his neck, the stage was set for an unprecedented gubernatorial rift in the annals of the politics of the state. Before it became public knowledge that Prince Madumere had told his boss that he was not going to be part of his bizarre succession agenda, not a few expressed anxiety over what looked like an initial equivocation on his, Madumere’s, part. His initial silence was uncomforting to many observers especially from his native Owerri zone whose people are very much desirous of having one their own in the Douglas House, the official seat of the Imo state government, come 2019. Although the initial expectation that Governor Okorocha might groom Madumere as his successor was beginning to wane or had in fact become completely ruled out, the question on the lips of many was: would Prince Madumere be part of the perfidy against his own people in Owerri zone by conniving at plans to make Nwosu, also from Orlu zone, emerge as the next governor of the state; to bring to a cumulative total of sixteen (16) years for that (Orlu) zone’s tenure at the government house, Owerri?. To cut a long story short, His Excellency, Prince Eze Madumere, has since acquitted himself. He has not only distanced himself from that sordid agenda of the governor but is also today at the fore front of the move by the entire state, irrespective of the party affiliations, to ensure that the governor does not succeed. As a matter of fact, it is Madumere’s involvement that gave the final verve and impetus to the opposition of the entire people of the state to the governor’s weird succession plans. To be sure, there are other highly regarded and influential elements within the ruling All Progressive Congress (APC) that are vehemently against the governor’s plans, but the involvement of a sitting deputy governor, more so one hitherto known to be a bosom friend and ally of the governor, added more legitimacy to the move. Observers point out that in a largely conservative political environment like that of Nigeria, nay Igbo land, it takes a rare courage and an abiding faith and love for one’s people for Madumere to decide to work on the side of the people of the state. Madumere put his entire career and even personal life to a big risk to be part of the ‘struggle’. Ever since he made the decision to be on the side of history, no day passes without the local newspapers running an uncomplimentary article on the deputy governor, which articles are evidently sponsored by the governor and his handlers. A couple of days ago, Governor Okorocha himself rained abuses on Prince Madumere at a public function in Owerri. Up till this moment, there are fears that plans are on to impeach Madumere but he seems not to be worried by that. Such show of confidence is quite rare. It is clear evidence that Madumere is assuring the entire people of the state that he has no skeleton in his cupboard. In other words, he has established integrity and, needless to say, this singular factor, constitutes the greatest impetus for galvanizing the entire people of the Imo in the struggle. As a team player, he has brought in his integrity, exposure, privileges and vantage to a collective pool of equally vibrant and credible stalwarts of the ruling APC. Madumere’s fellow compatriots in the APC are all political juggernauts on their own; and are men (and women) of integrity but all eyes seem to be on Madumere. Not unexpectedly, he goes about it in his characteristics calmness but that itself is one of his major attractions. Along the streets of Owerri and in several political circles in the state, it is not uncommon to hear people say that if Governor Okorocha was quite serious in determining his successor; his best bet would have been Madumere. Some, however, argue that the governor’s image, given the way he ran the state, would make Imolites reject anybody he brings out. Still, there are those who believe that it is not impossible for Governor Okorocha to make a volte face to support Madumere in his governorship bid. As they say, nothing is impossible before God. So, if that happens, Madumere will be a candidate of the people not that of Okorocha. The reason is simple. He chose quite early, and when the people least expected, to be on their side.